The Drive Test for your probationary licence is a practical on-road test. However, the theory resources available can still help with your preparation. 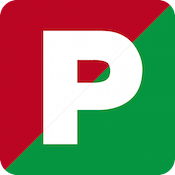 In the lead up to the test you should revise the Drive Test Criteria produced by VicRoads and the summary of this content provided by Driving Test VIC. This guide outlines what you should do to pass and what you should do to avoid failing. The criteria for the test are not a closely guarded secret – they are publicly available and should be used to your benefit. Not reading through the Criteria and revising with the summary would be a detriment to an appropriate preparation for the Drive Test. Practical experience in a vehicle will obviously form the majority of the preparation for your Drive Test. You can gain this practical experience (and accumulate log book hours) in two ways. You should use both methods to ensure success in the Drive Test. However, it is important to realise that your supervisors are not qualified instructors. They do not know the criteria of the Drive Test, what testing officers are looking for or what routes they will use during the test. For this reason it is strongly recommended / necessary to seek lessons with a qualified, local driving instructor. Driving lessons with qualified instructors are invaluable in preparing you for the Drive Test. These instructors know the Drive Test criteria, how to prepare you for the test and the local routes used on the test. They have experience teaching driving and are likely better able to identify and communicate where you need to improve. Because they spend a lot of time preparing people for the Drive Test, they will be able to tell if you’re ready to drive independently and if you will pass the test based on your skills. If your driving instructor thinks you’re ready, you should be filled with confidence going into the test. As you approach your test you should begin the lessons again so the instructor can focus on test preparation and assess whether or not you’re ready to take the test and subsequently drive independently.